A very robust and high quality throat microphone designed to function in high noise environments; the microphone transducers can be positioned on both sides of the neck thus ensuring good transmission. 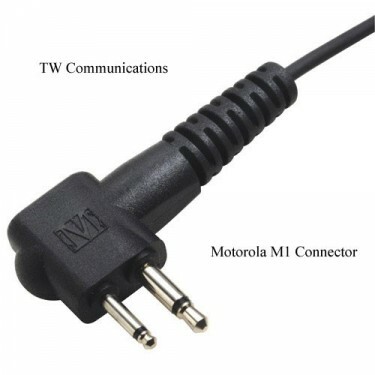 This is designed to fit all radios that use Motorola two pin jack. Also fitted with surgical grade acoustic tube earphone for perfect reception. There is a large heavy duty PTT switch enabling this complete microphone system to be worn under heavy uniforms or special clothing. CP040, CP100, CP140, CP150, CP160, CP180, CP200, CT150, CT250, CT450, CT450-LS, EP450, GP2000, GP2100, GP280, GP300, GP308, GP350, GP600, GP63, GP68, GP88, GTX Portable, GTX LTR Portable, GTX Privacy Plus Portable, LTS2000, PR400, PRO2150, PRO3150, PTX600, P040, P080, P110, P1225, P1225-LS, P200, SP10, SP21, SP50, SP50 Plus, XTN446, XTN500, XTN600, XV1100, XV1400 XV2100, XU1100, XU2100, XU2600, VL130, VL50, etc.